If your order weighs less than 13 ounces, save huge on shipping with USPS first class (with tracking number). This product weighs 4.2 oz. Nature’s Sunshine Flax Seed Oil with Lignans supports heart health and stimulates immune activity. 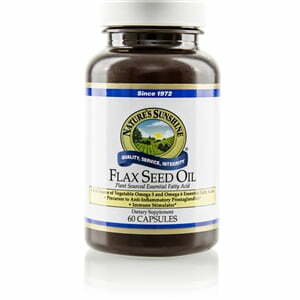 Flax seed oil, a rich source of omega-3 essential fatty acids, contains two times as much omega-3 as fish oil. The body is unable to produce these fatty acids on its own, but they provide valuable benefits to the heart. The lignans included Flax Seed Oil with Lignans provide immune system support. 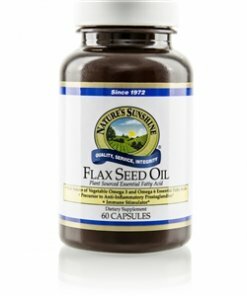 Flax Seed Oil with Lignans capsules include omega-3, omega-6, and omega-9 essential fatty acids. Lignans, gelatin, glycerin, water, and carob coating (for light resistance).